While the decision to implement real estate technology can sometimes involve a cost (usually upfront) for both implementation and training, several key benefits are driving rapidly increased adoption within the commercial real estate sector. Below, we review these five benefits of technology and why they are encouraging more commercial real estate professionals to take the leap of faith and invest in tech solutions. Increasingly, CRE professionals are leveraging technological solutions to view a snapshot of performance. With an array of tools providing easy-to-read dashboards, it has become faster and simpler than ever before for CRE professionals to check on progress while simultaneously digging deeper to view even more details. Now, commercial real estate professionals no longer need to wonder how projects are performing at any given time. They can instead find out exactly what they wish to know. New CRE tools can also provide real estate professionals, including developers and investors, with access to data and details that are vital to an informed decision-making process. Even more impressive is the fact that such information is made available in the cloud, which also means that real estate professionals are able to access information from anywhere while they are on the go. This makes it much faster for commercial real estate professionals to obtain vital information without the need to return to the office and make clients wait in the process. Real estate professionals often require access to incredibly detailed and specific information as well as data analysis. Today, thanks to the availability of increasingly advanced tech tools, data resides in the cloud in a coordinated platform. This means information can be accessed from practically anywhere, giving real estate professionals the ability to generate reports quickly and easily. Such features have proven to be particularly beneficial for real estate investors as well as developers seeking funding. Along with an increasing access to vital information, greater availability of shared repositories is providing real estate professionals with a greater level of transparency for all of their business operations. Commercial real estate technology has made it possible to verify information instantly by providing access to a wealth of detailed information on various transactions and projects. Yet another important benefit of technology that is now driving widespread adoption among commercial real estate professionals is the improved security technology offers for critical data. New platforms built with layers of security make it possible to keep critical information protected and made available only to those individuals with access, giving real estate professionals in all sectors far greater peace of mind regarding the safety of confidential information. 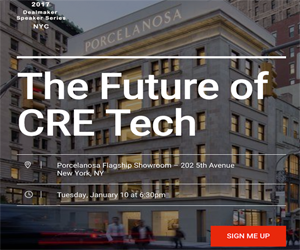 As commercial real estate technology continues to evolve and develop, real estate professionals have begun to adopt new tech platforms at a rapid rate.